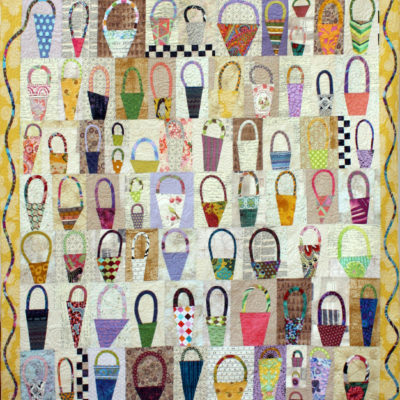 Historically in all cultures, the basket has always been present in women’s lives. 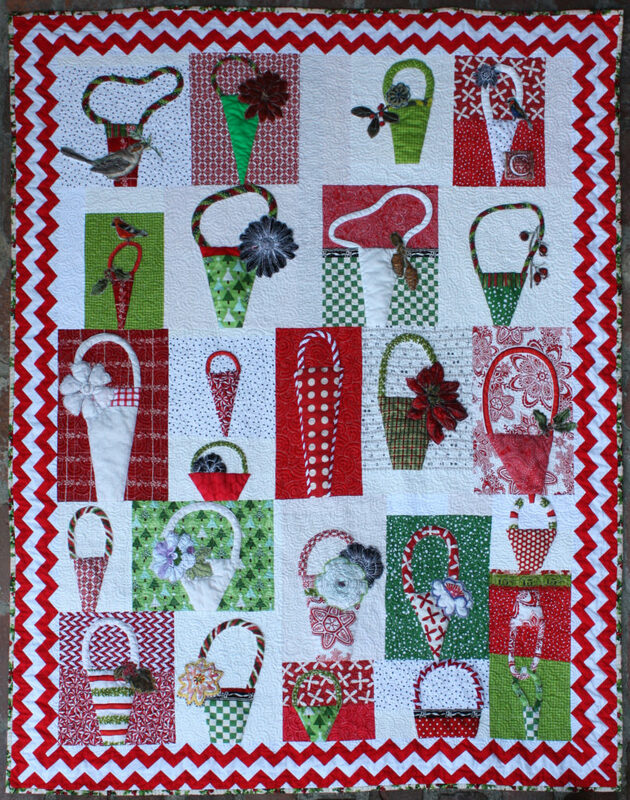 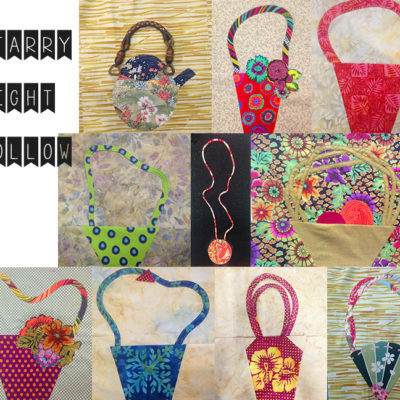 Create a fun basket quilt that uses many scraps of fabric and can be designed either traditional or liberated. 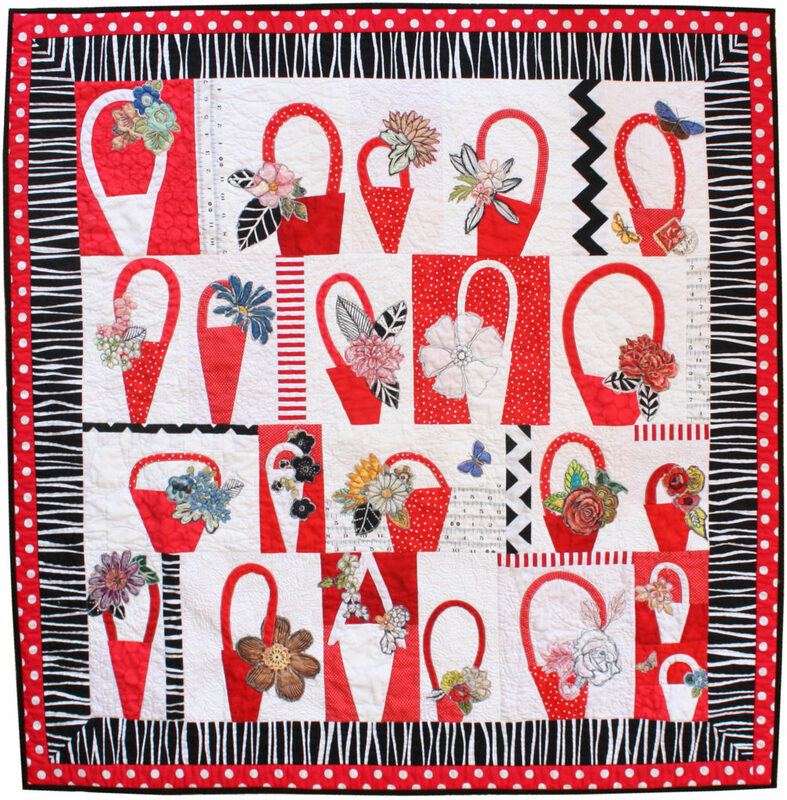 Learn how to make blocks of different sizes and dimensions that go together cohesively into one quilt. 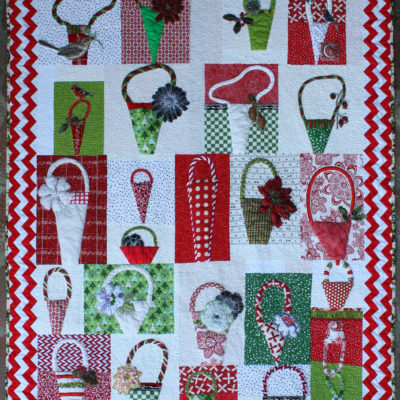 This quilt is easy to make and a great way to showcase your favorite fabrics. 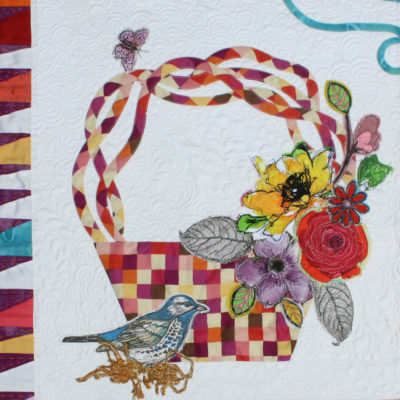 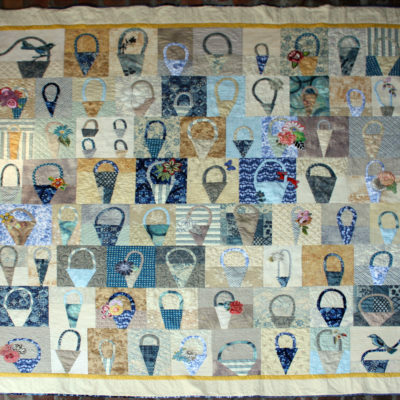 Make a quilt that captivates other and uses lots of your own stash. 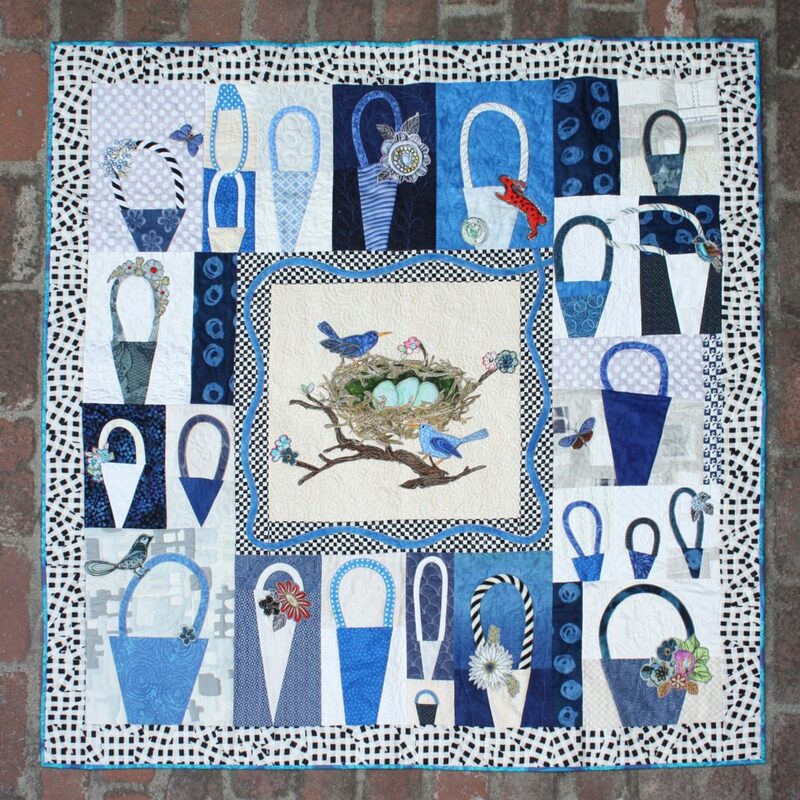 Your quilt can be made traditional or liberated, but it will be a one-of-a kind that shows your personality. 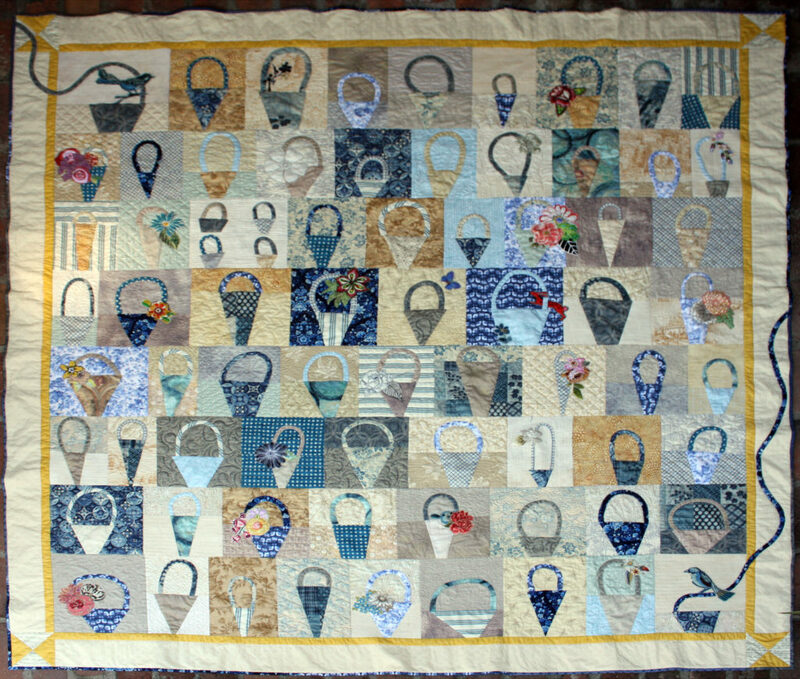 Don’t forget to choose some of those wonderful fabrics you’ve been hoarding and put them into this quilt. 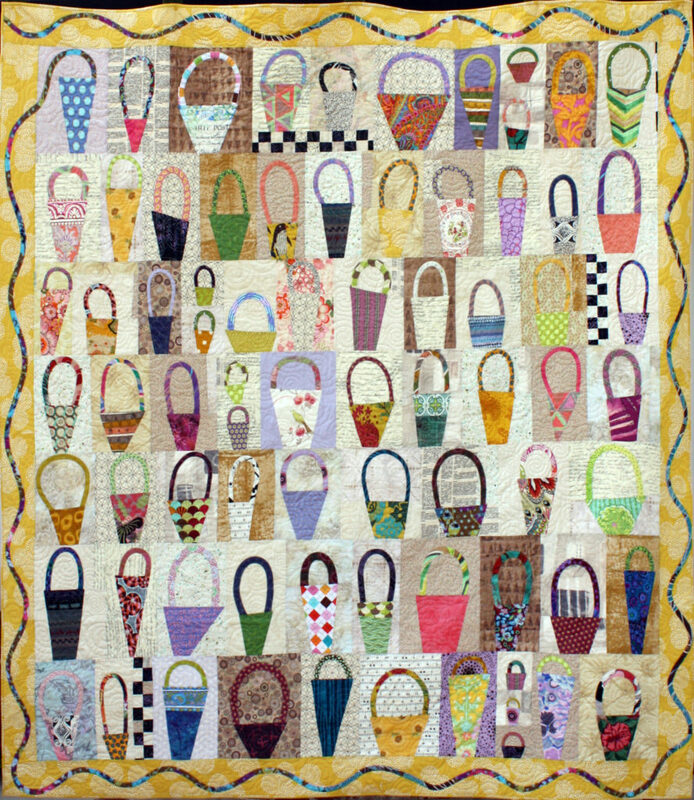 BasketCase is fun and simple and teaches you new improvisational techniques that you will continue to use in other quilts you make. 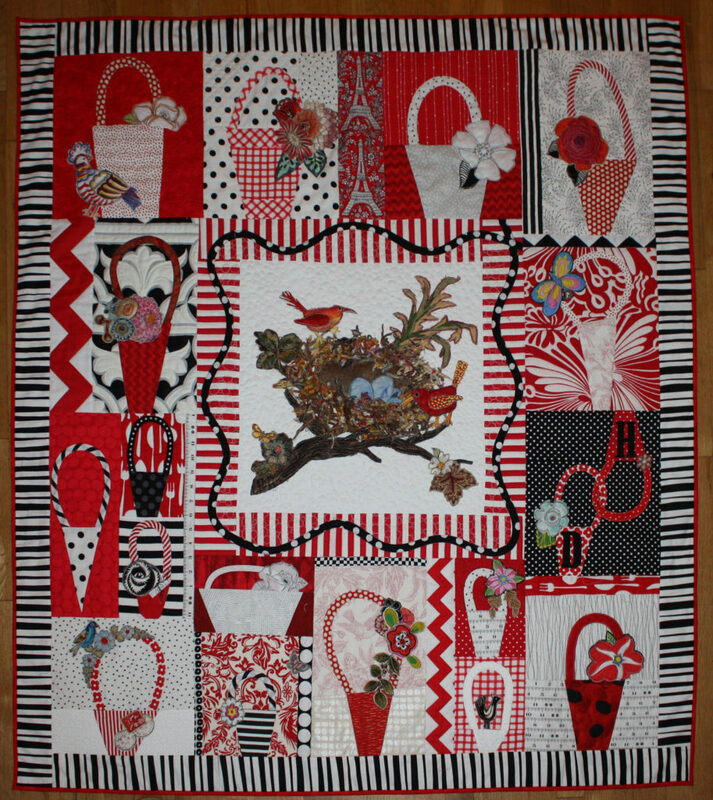 It also comes together fast and fabulous. 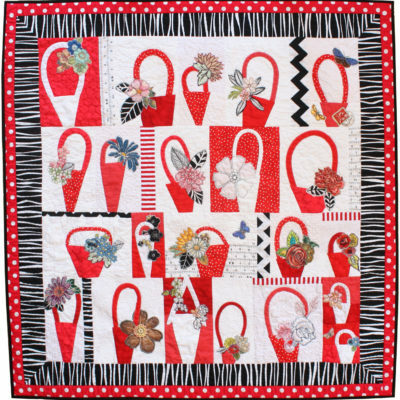 A great skill you will learn is how to make blocks of difference sizes and dimensions go together cohesively into one quilt. 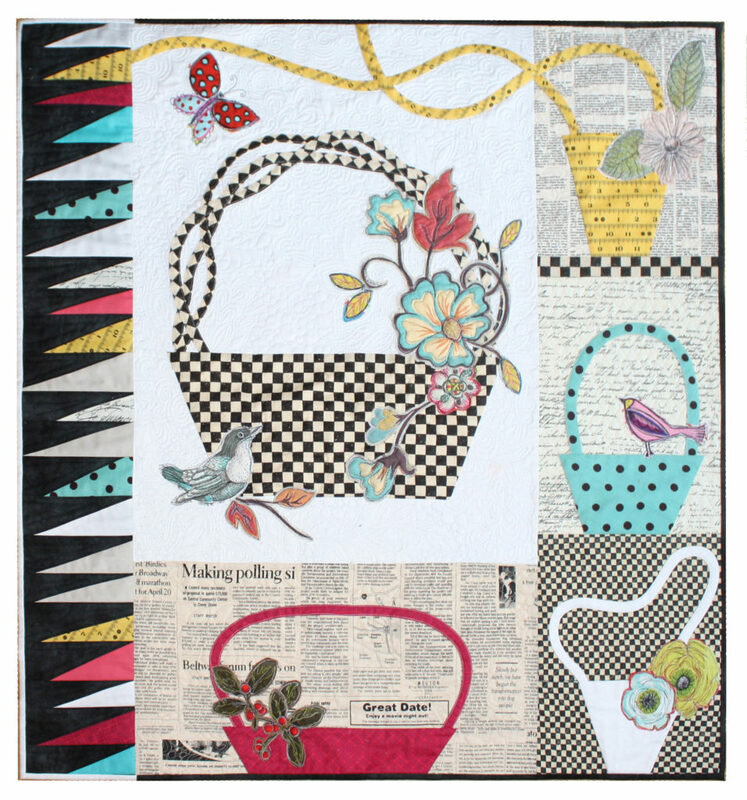 Then if you like, add some flowers to your baskets Combine the “garden party” technique and arrange them in your baskets. 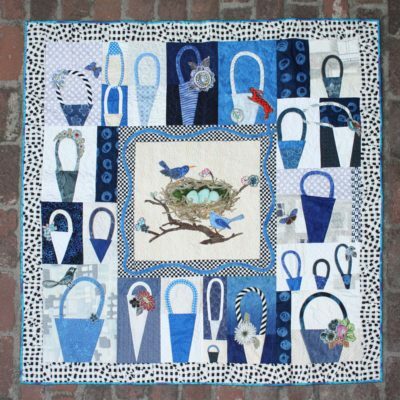 Don’t have time to start a new quilt? 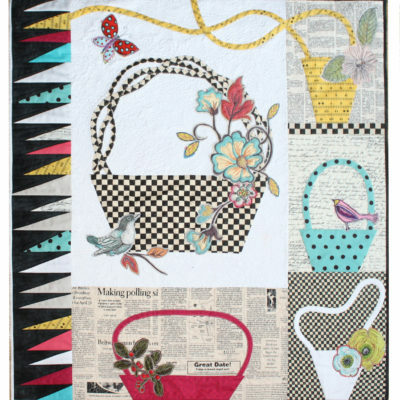 Okay, learn the techniques and make yourself a 20” x 20” pillow! Square up your blocks easily by using the "shape-cut ruler" I use this ruler in almost all my quilts, let me show you how spectacular it is and how perfect it can make your work. 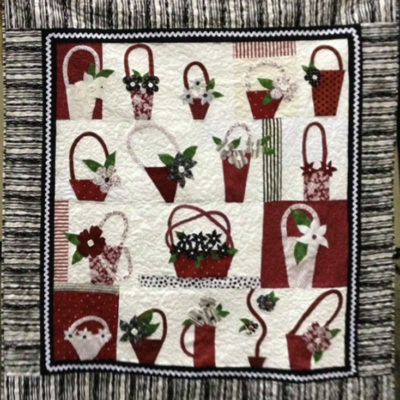 Bring a neutral cotton thread for piecing and top stitch and then bring a 50W cotton in white or cream, and another 50W cotton in black for the FMQ we will use to attach flowers to your baskets. 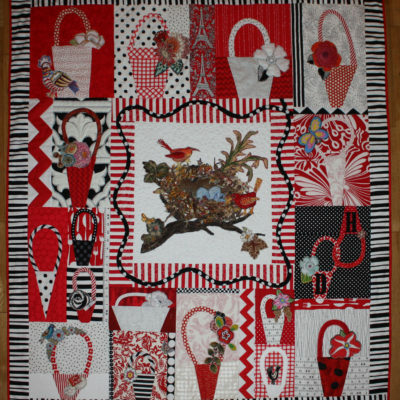 I sell Aurifil thread and you can order from my store.